Actually, no. 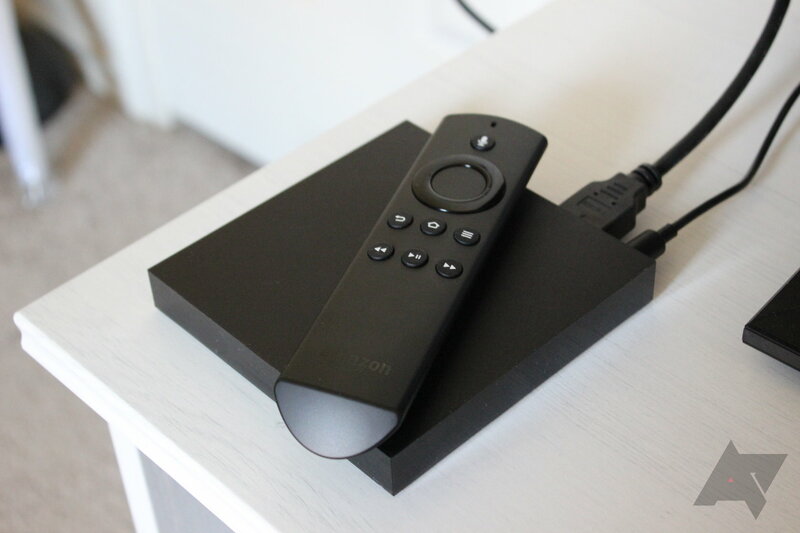 There are definitely some quirks that you should be aware of before jumping into a new Fire TV — especially if you're just upgrading from the old one. And if you're not yet into the set-top box game but are looking to get started, you may want to hold on before dropping a Benji on Amazon's newest Fire TV. Support for 4K Have a 4K TV? Want more 4K content? 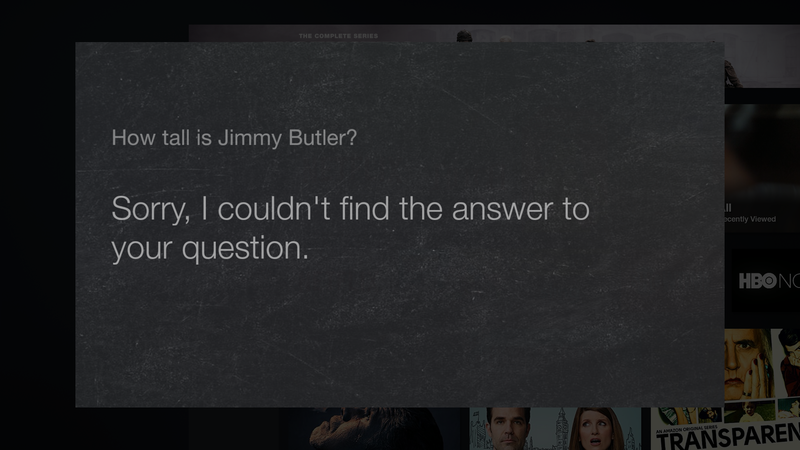 Fire TV may be the answer for you…but it may not deliver what you want either. See below. Alexa It seems like every company has some female voice assistant now, and Alexa is Amazon's. She first showed up on Echo, and now she made her way to Fire TV. I like her. Doesn't support 4K on all TVs Yeah, that 4K TV of yours? Well Fire TV may not provide 4K content for it. 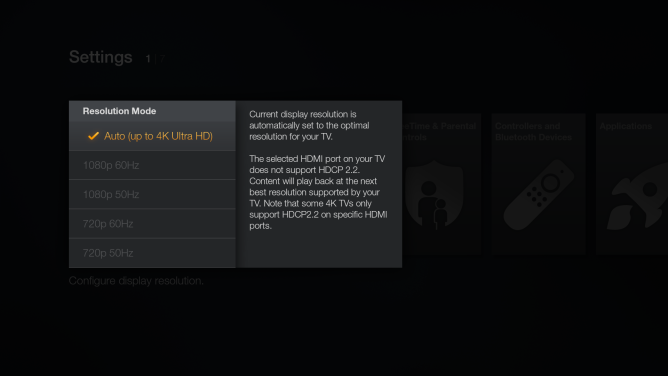 If it's an older set (a year or older) and does't support HDCP 2.2, then 4K content is out of the question. Buggy The last Fire TV unit was solid out of the box. This one's laggy at times and has quite a few more bugs than I've seen with the original. Limited storage Still only 8GB. I guess it's good that there's room for expansion via a microSD card; still, I'd like to see more out of the box. 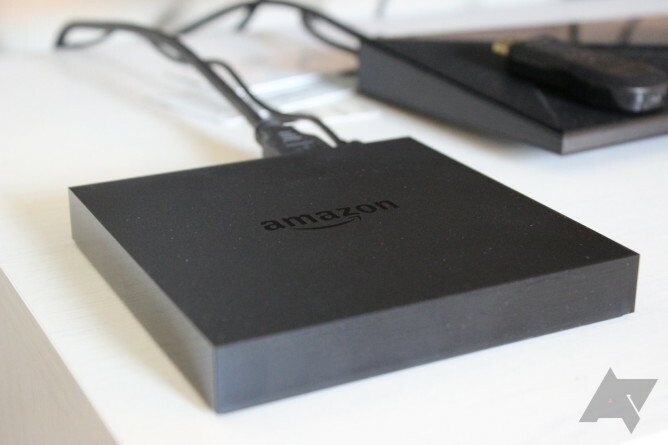 When I first fired up the original Fire TV, I was immediately a fan. It has a good interface for TVs, was powerful enough to do more than just stream movies and shows, and came in at a great price point. Now, however, the scene is totally different: NVIDIA SHIELD (and Android TV in general) exists, there's a new Chromecast, Apple TV got a refresh, and Roku 4 was just announced. The competition is a lot stiffer, so Amazon really needed to step its game up. And in some ways, it did. Amazon dropped Qualcomm to go with a faster (and more cost effective) Mediatek chip, which the company says is 75 percent faster than the previous iteration. That's a pretty nice bump, especially considering the original Fire TV was the most powerful set-top box on the market when it was launched. But again, now we live in a world where NVIDIA SHIELD exists, so the landscape is totally different than it was 18 months ago. The main reason for the processor bump, though? For the GPU. 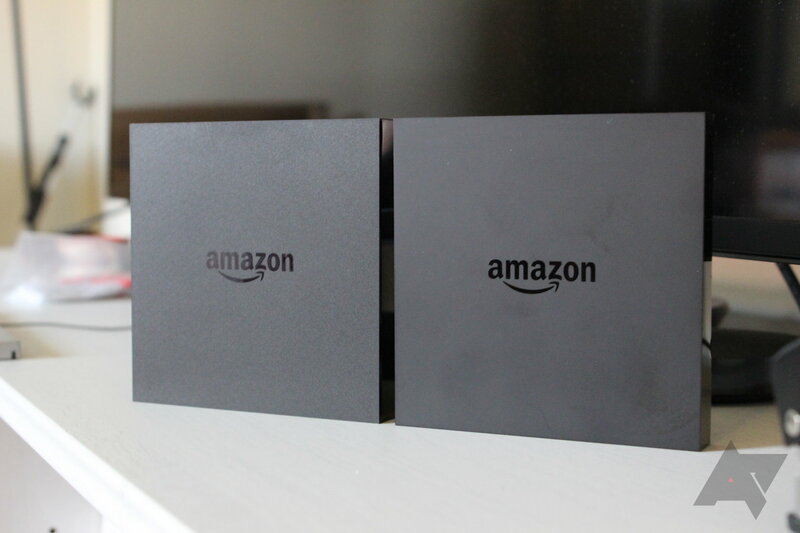 The new Fire TV supports 4K output, so as 4K gains popularity it'll be ready. However, if you've already got a 4K TV, it may not work. Here's the thing: a new encryption method — HDCP 2.2 (High Definition Copy Protection) — was released about a year ago, and while HDMI 2.0 is all that's technically required for 4K content, HDCP 2.2 is the most modern encryption protocol available and the current standard for 4K copy protection. But! — it's not backwards compatible. Basically, all HDCP 2.2-compatible TVs will have HDMI 2.0, but not all HDMI 2.0 TVs will have HDCP 2.2, and there's no software or firmware update that can bring HDCP 2.2 to non-2.2 sets. So, why go into all that? Because the new Fire TV uses HDCP 2.2 for all 4K stuff that's available to it right now (Netflix and Amazon Video). That means if you have an older 4K TV, or even a newer one from a "lower end" manufacturer, there's a chance that it doesn't support HDCP 2.2 and, thus, will not provide 4K content — it will max out at 1080p. My TV, for example, is a 60-inch Vizio 4K. It has five HDMI 2.0 ports, four of which provide 4K content at 30 Hz. 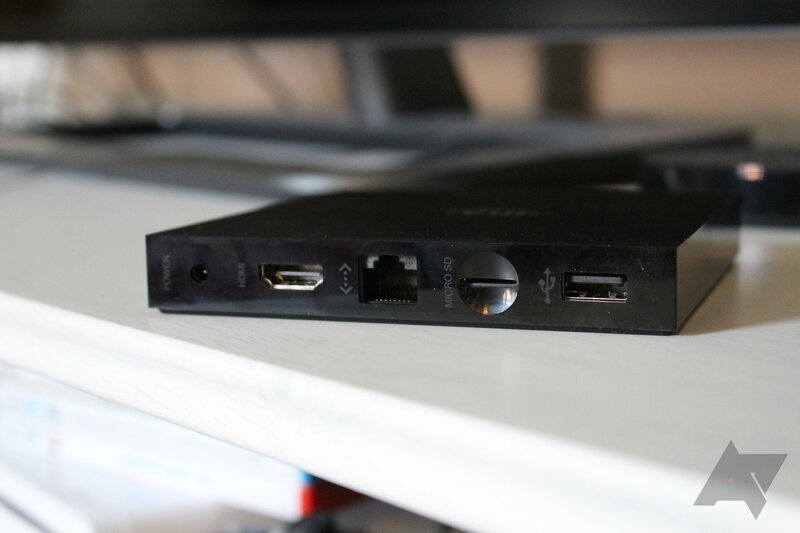 The fifth port, however, is the only one that supports HDCP 2.2, so it's the only one that the Fire TV can output 4K content to (it's also worth noting that this port pushes 4K at 60 Hz, so it's the most logical one to use for 4K anyway). Basically, that means if I want 4K from multiple sources that are protected by HDCP 2.2, I have to swap cables constantly. If you haven't upgraded to a 4K TV yet, I would definitely make sure to check HDCP 2.2 compatibility before pulling the trigger — all devices will support it soon, and you don't want to be stuck with a 4K TV that can't actually produce 4K content. It's also worth mentioning here that everything in the signal chain must support HDCP 2.2 in order to get 4K content from any box or service that requires it — that means not only the TV, but also soundbar, receiver, or any other accessory connected to the chain. Yeah, it's kind of nuts. So that's really my biggest gripe with Fire TV. SHIELD has no problem pushing 4K content to any HDMI 2.0 port, but it does look better at 60 Hz (read: it doesn't look great at 30 Hz — it's choppy). The one exception to that, however is Netflix, which requires HDCP 2.2 for 4K content. And as much as I hate to say it, as more services start to embrace 4K, they will also require HDCP 2.2. So I guess that gripe isn't as much about Fire TV as much as it is this new standard that could render older TVs "useless" when it comes to 4K...but it's still worth talking about here since it could pose a problem for anyone interested in this box for 4K. And really, as long as you've already got a TV that supports HDCP 2.2 you should be fine, especially if it supports it on multiple HDMI ports. Whew. With all that out of the way, now we can talk about how well it actually works. To be blunt, it's really not all that different from its predecessor — same interface, still snappy, and pretty much the same content. Really, if I didn't know I was using a different box, I wouldn't know that I'm using a different box. They look the same (aesthetically speaking), they function the same, and even have the same remote. They are literally the same without being the same…mostly. On the hardware level, the main difference is that Amazon removed the optical audio port (I'm sure some users will be furious about that) in order to add a microSD card slot for expandable storage. Trade-offs, son. There is also one big difference between the first and second generation on the software level: the second gen has a lot more bugs. It lags at weird times. According to many reviews on Amazon, it's lacking 5.1 surround sound in Netflix (though Amazon is promising an update to fix this around October 22nd). It randomly blacks out when exiting 4K videos. It just does weird things. The good news is that those are probably all software related issues that can easily be fixed with an OTA update (or several). The bad news is that it's hard to say when (or if) Amazon will issue said updates. But on the bright side, this model has Alexa (she's coming to the old model, too), and that's pretty neat. You can ask her questions about weather, sports scores, and things like that — simple stuff — but she pretty much loses it when you start asking more "advanced" questions. 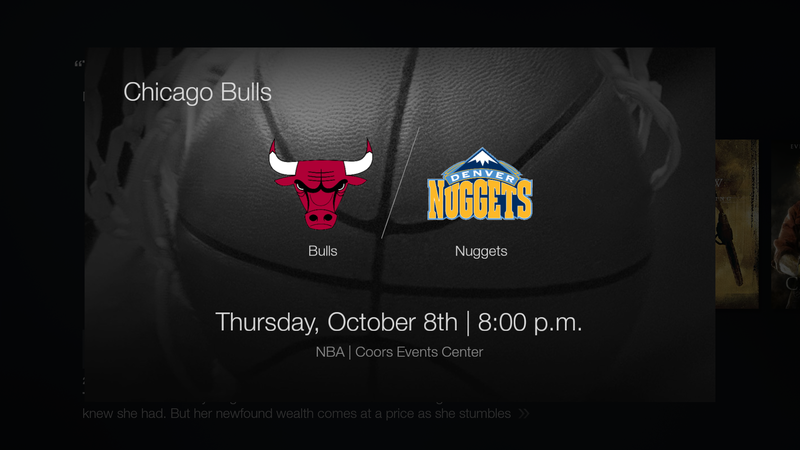 For example, you can ask what time sunset will be the following day, but if you just need to know how tall Jimmy Butler is, she has no idea what to tell you (he's 6'7"). I guess that makes sense — this isn't Google, after all. It's Amazon. Which brings me to another thing that Alexa can't really do: search every app installed on the Fire TV. Right now, she can search Amazon services (of course), Hulu, HBO GO, Crackle, Showtime, and Starz. Noticeably absent from this list is, of course, Netflix. This is probably the most used streaming video service on every set-top box, but it's also the main one that refuses to integrate with any voice search. It's incredibly frustrating, because who the hell wants to type in every single search? No one, that's who. And then there's the question of content. Most of the big players are here: Netflix, Hulu, HBO GO, HBO NOW, Showtime, YouTube, NBA GameTime, Crackle, and a slew of others. 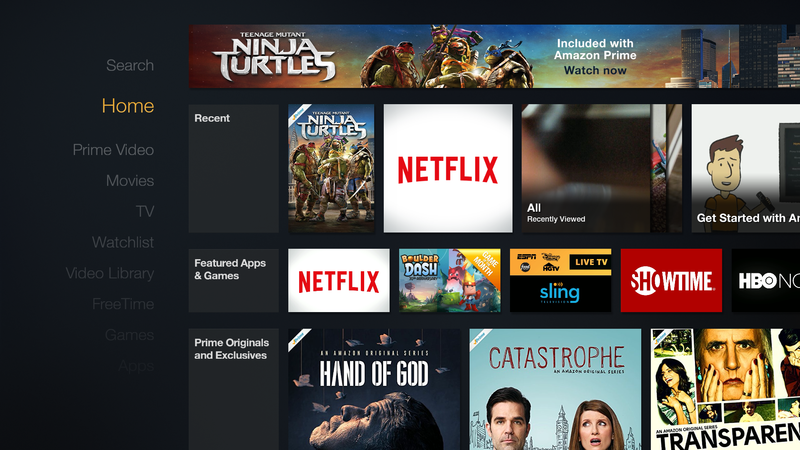 Really, it has pretty much everything you'd want outside of Google services, which you'll basically only find on Android TV boxes (aside from Play Movies, which is also available on Roku); the trade off there is that ATV boxes don't support Prime Instant video. If you're really concerned about having everything on one box, Roku is still probably your best bet. Last year, I really liked the original Fire TV. 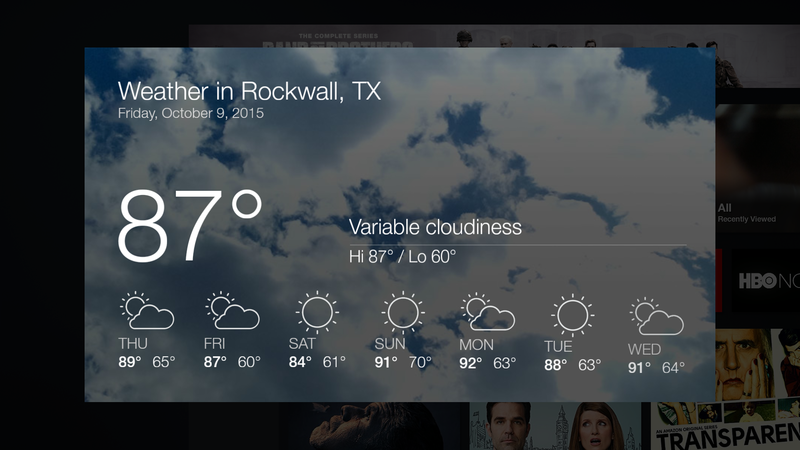 But now we live in a world where Android TV is a thing, and most of the other big players — Chromecast, Apple TV, and Roku — just got a refresh. Pair that with the fact that this year's iteration isn't as good as the previous model, and it makes it much harder to recommend Fire TV. If you want content, get a Roku 4 (or even a 3 if you don't have a 4K TV). If casual gaming is your thing, SHIELD is the way to go. If you just want to watch the occasional flick, just pick up a Chromecast — even though it can't do 4K , it's still a great option for not a lot of money. If 4K is important to you, then Roku or SHIELD are easily the way to go. 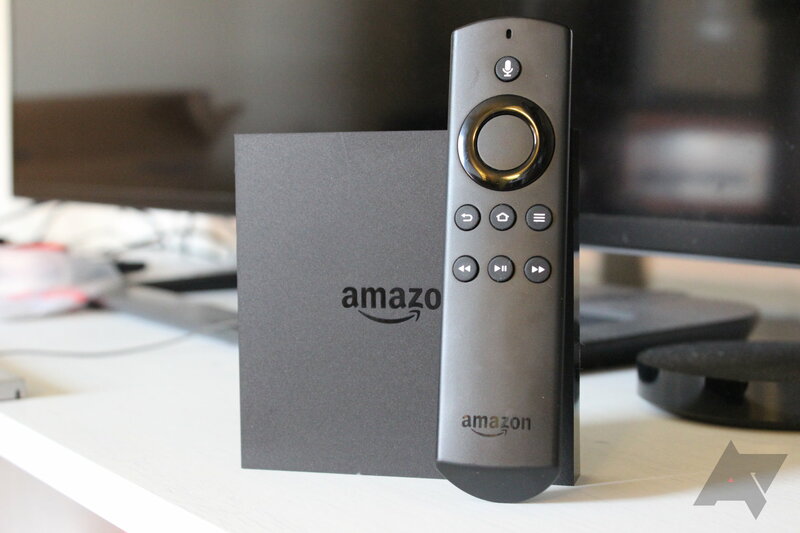 While Amazon was a strong contender last year, the entire landscape has changed dramatically since then, and Fire TV's time close to the top has come to an end. 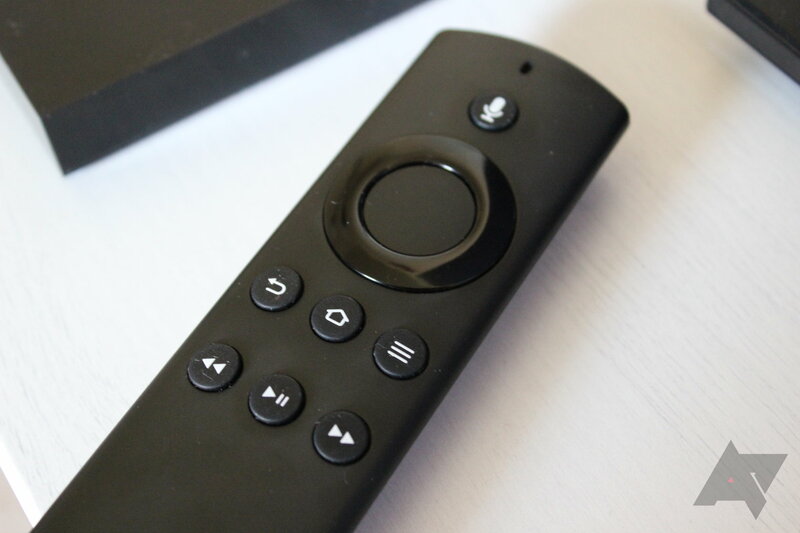 For my money, Fire TV is pretty much at the bottom of the pile — it does a lot of things, but it just doesn't do anything as well as the competition.